Greys Waterproof Trousers - Price Drop!!! Greys Micro Quilt Jacket - Petrol or Carbon. Price Drop!!! Greys Warm Weather Wading Jacket. Camo. Price Drop!!! Greys Overtrousers - Price Drop!!! Greys All Weather Parka Jacket - Price Drop!!! 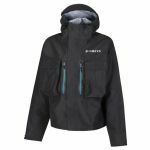 Greys Cold Weather Wading Jacket - Price Drop!! !